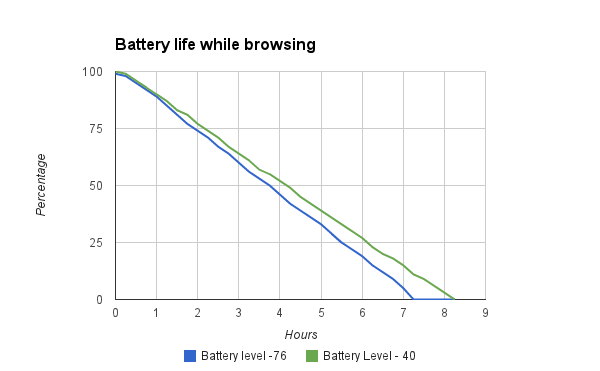 Yesterday I mentioned how I got 7 hours of battery life whilst browsing, this was done at a brightness level of 76. After that I decided to run the test again but set the brightness level to 40. This gave me an extra hour , which is about 14% extra battery life. Was I expecting more? perhaps ..
Hi, I think that graph needs fixing – both lines start a 100% percent, that somehow is not what you said in your article. All the best, W.